You can’t beat freshly baked scones. 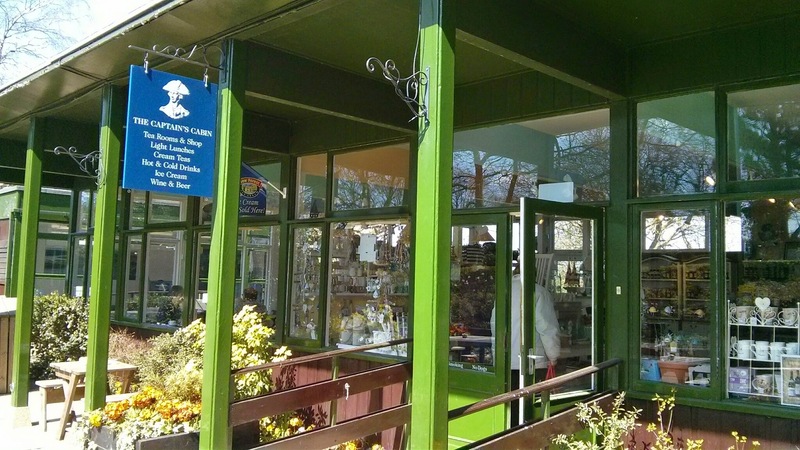 The Old Forge Caffe award-winning cream tea is so great because all the scones are baked to order, so no stale, re-heated baked goods here. The two plain scones provided were delicious with a light bite on the outside and lovely soft middle. Unfortunately for us, one was not fully cooked and was a little doughy inside. The other, however, was absolutely perfect! 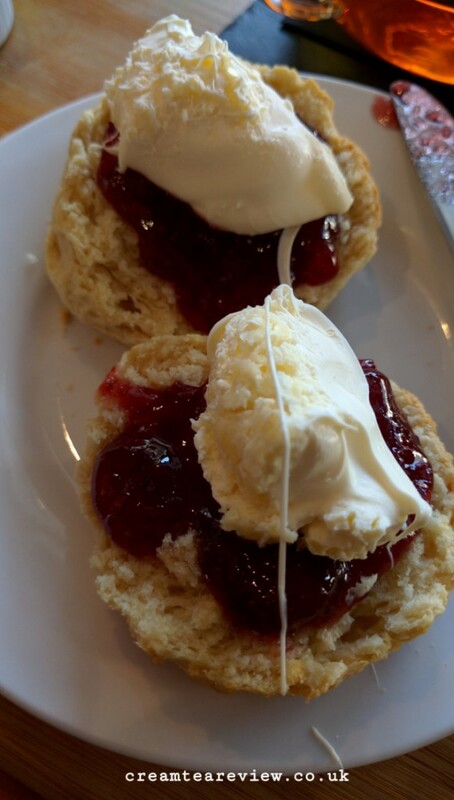 A huge quantity (with the offer of more should we require it) of delicious, local clotted cream served in a white dish. Two jams were offered – a homemade strawberry and (our choice) Waterhouse Fayre ‘Harvest’, which is a spectacular combination of tayberry, tummelberry and raspberry. Wonderful! 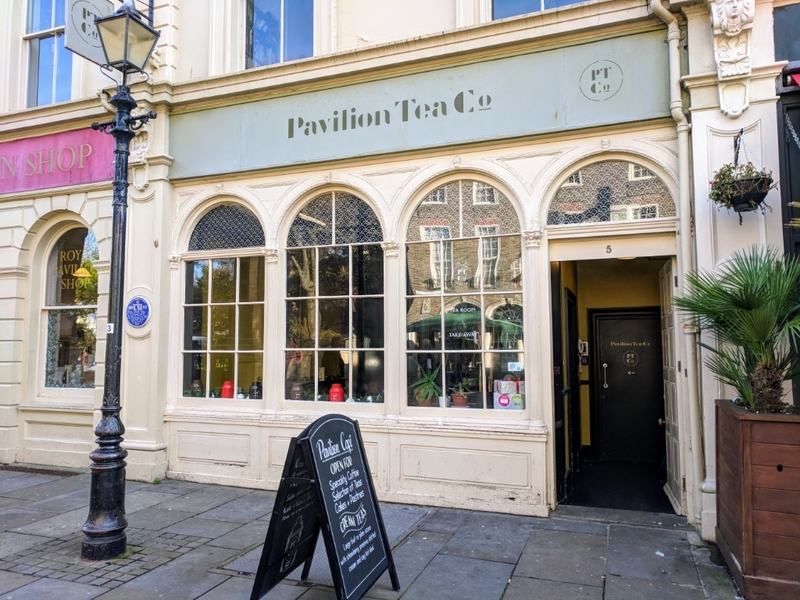 Unlike some places The Old Forge doesn’t offer a large range of teas, but those available are the classics and included our favourite, Lapsang Souchong. The loose leaf tea was presented in a glass infusion teapot. Perhaps we poured it a little too early, but we didn’t feel the internal basket really gave the tea a chance to release its full flavour. 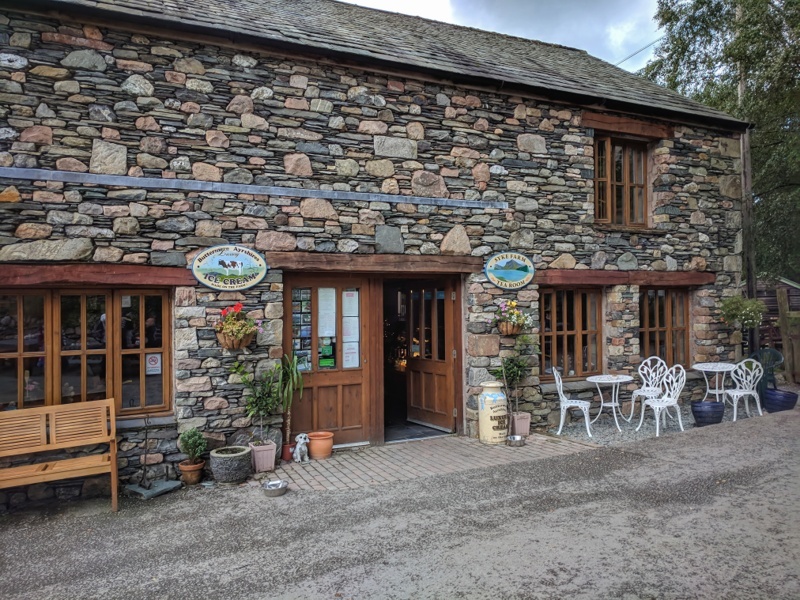 The staff at The Old Forge Caffe were very friendly and more jam and cream was automatically offered in addition to the already generous serving. Everything was perfectly clean and the presentation on slate and wooden platters was very attractive. 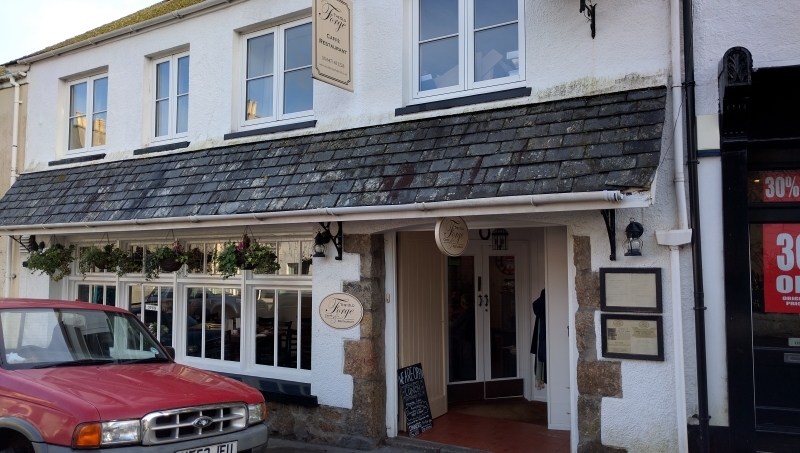 We visited on a busy Friday lunchtime and enjoyed a light lunch before ordering our cream tea. 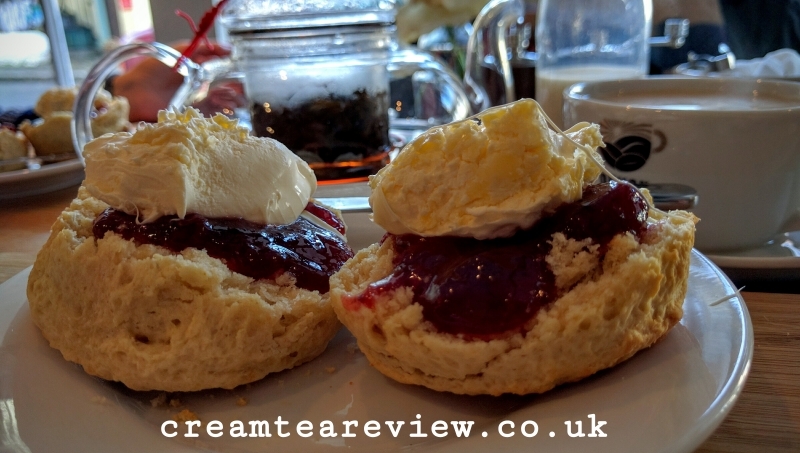 We had quite a long wait for the food, but by ordering the cream tea in advance, we didn’t have too much of a further wait for the scones to be baked. 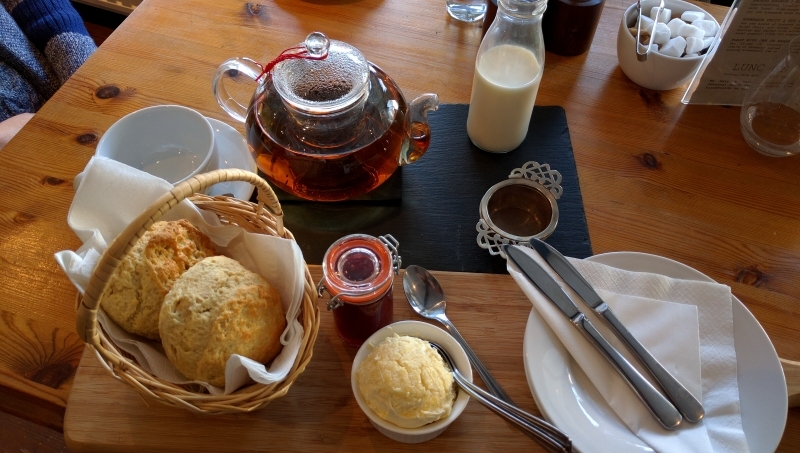 There are several eateries advertising cream teas in the picturesque village of Chagford, but we can’t imagine any can rival the national award-winning offering here.